This exhibition highlights selections from the Finch Science Archive, donated to the USC Libraries by Dr. Caleb Finch, the William F. Kieschnick Professor of the Neurobiology of Aging. Some of the archival materials on display include his books and publications dedicated to the study of human aging. 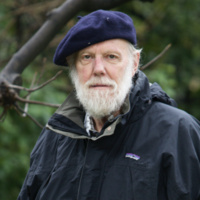 In his work, Finch explores the relationship between the natural sciences and aging but brings a polymathic perspective to his work by incorporating research in such diverse fields as ancient medicine, anthropology, archeology, biochemistry, evolution, history, geography, literature, neuroscience, obesity and famine, osteoarchaeology, urban poverty, and zoology. The exhibit showcases Finch's academic and musical career with digital displays, published editions, and rare materials. We are indeed grateful to Dr. Finch for his generous gift of the books in the Finch Science Archive, a collection (located in the Science and Engineering Library, 2nd Floor) which continues to embody and illustrate his ongoing contribution to the advancement of knowledge.